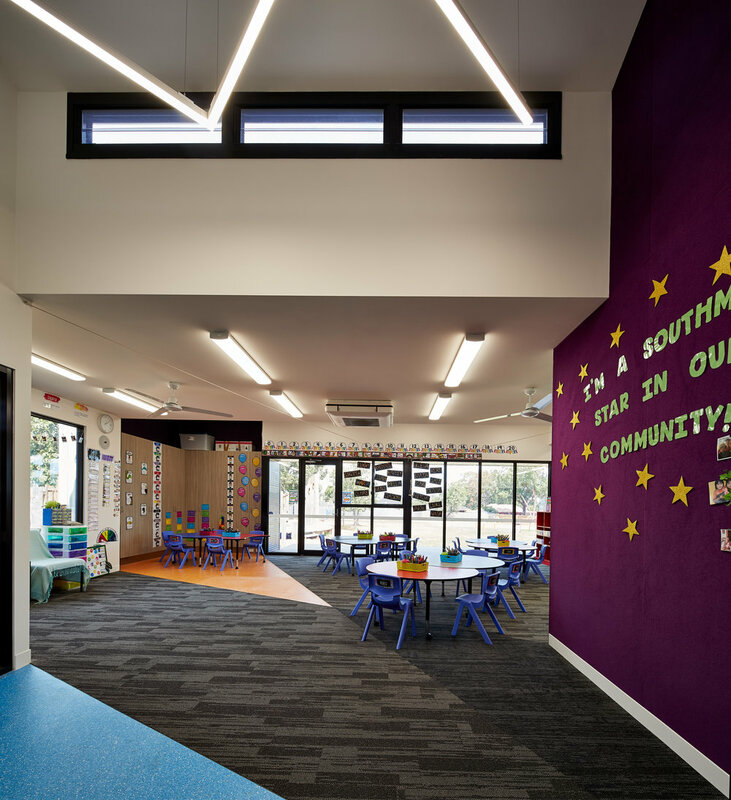 With views of the school oval and grasslands, the Southmoor Primary School Modular building project was about creating innovative learning spaces which would inspire teachers and students. 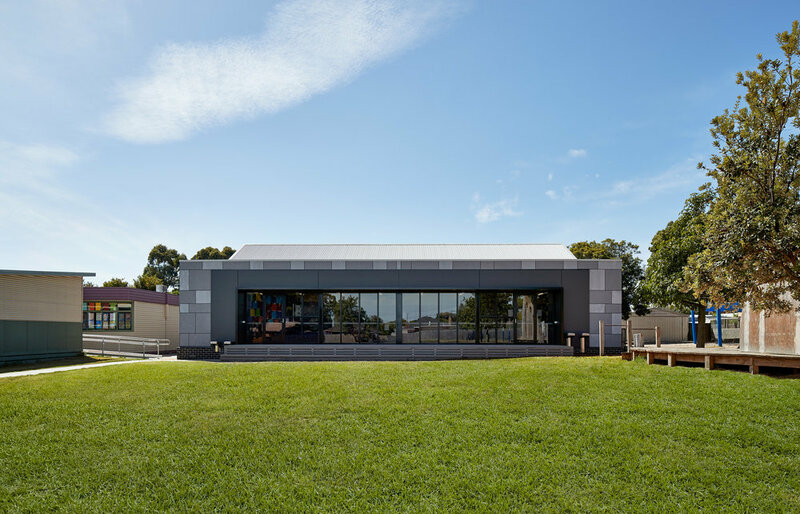 The doors of the 540sqm learning centre opens outward onto the school oval to encourage interaction with the outdoors while the 185sqm art room overlooks the playground and features clever storage options, essential in school buildings. The classroom layout is designed to be as flexible as the building method which was used to fully construct the equivalent of 5 classrooms off site. 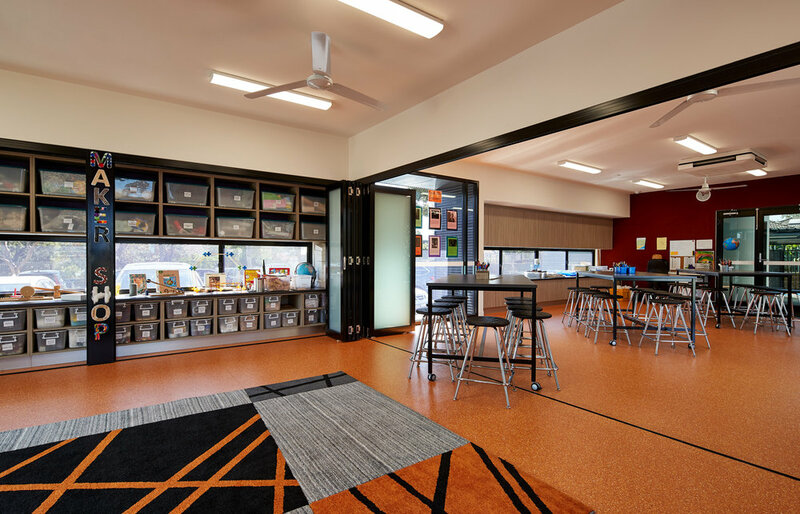 The internal flexibility is embodied by the lack of permanent fixtures, everything is on wheels, allowing the teachers to change the orientation of their classroom on a daily basis, keeping the 100 preps who occupy the building engaged. All rooms were designed to be adaptable over time, and to work with future upgrades to the school’s facilities. 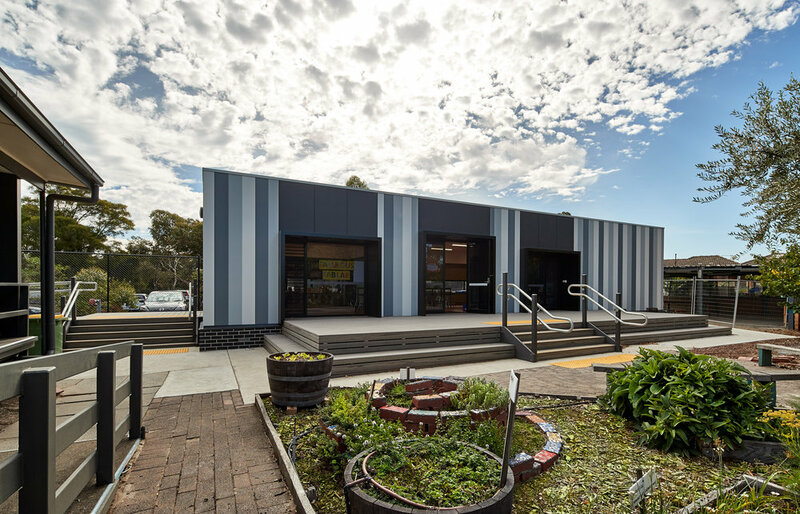 Environmentally sustainable design elements incorporated into this project had a positive impact on the construction timeline and have allowed for a virtually maintenance free school building. 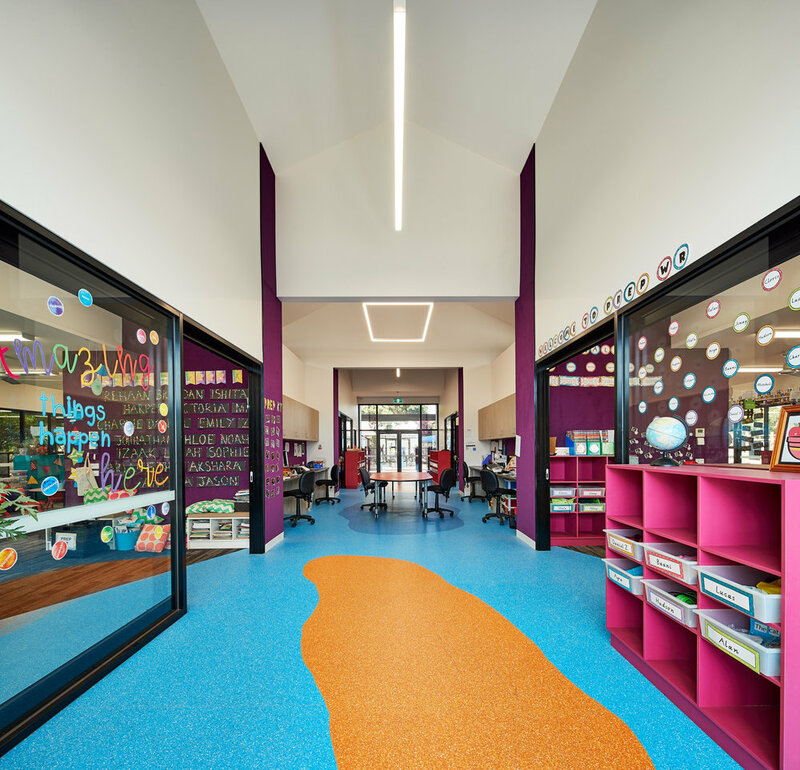 With materials selected for their durability and longevity, and by teaming up with a local modular construction team on a design and construct basis, Southmoor Primary School’s newest permanent buildings are genuine Victorian School Buildings. Using permanent modular construction allowed for the majority of building works to be completed off site, with only the very final stages of installation happening at the school. The documentation of the project was completed in only 10 days, with total construction and installation completed in under 12 weeks. The use of modular design ensured that there was no impact on the school or it’s pupils and the entirety of the demolition and installation occured over the school holidays. “Ultimately, the students and teachers get a great new building that can be delivered in a fraction of the time that it takes to do a normal construction,” said Chris Horton, Southmoor Primary School’s Business Manager.